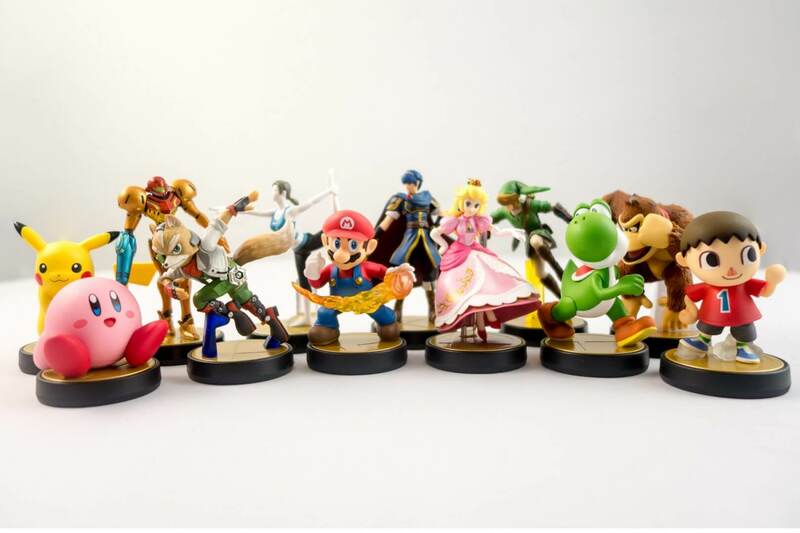 It seems that Amiibo madness is not going to end anytime soon, as Amiibo collectors who happen to reside in North America will be able to pick up some of the more rare Amiibos, thanks to a new round of restocks soon to be released. In a tweet today on the official Nintendo of America Twitter account, Nintendo announced that six currently sold-out Amiibo would be making a comeback to store shelves in the near future. 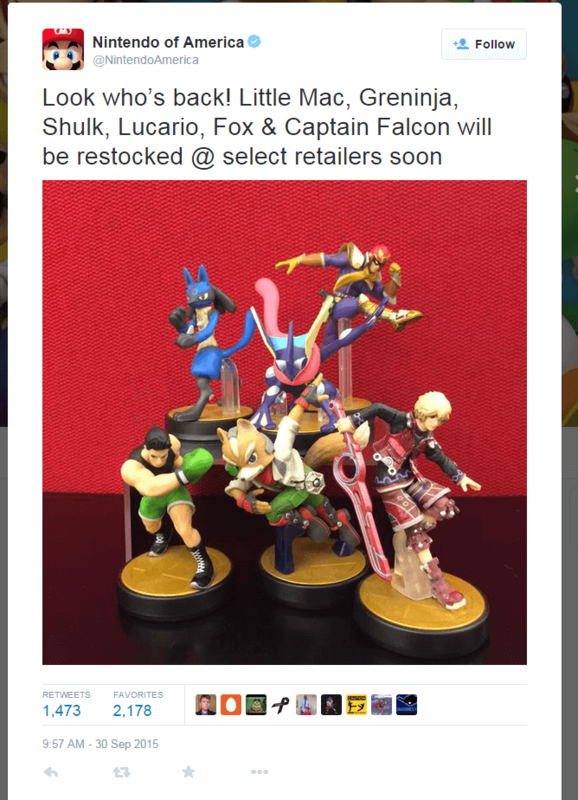 VeteranSmash Bros. fighters Captain Falcon, Fox, and Lucario will be re-released, as well as newcomers Greninja, Little Mac, and Shulk. Unfortunately, Nintendo remained a bit vague on when gamers could expect to scoop up these re-released Amiibo, and where. This is the second set of Amiibo re-releases, following the more limited re-release of the Wii Fit Trainer and Pit in June. While many Amiibo fans are frustrated by Nintendo’s lack of information regarding future Amiibo releases/re releases, deciding to not announce in advance what stores will have the new Amiibo is probably strategic. Nintendo’s decision to make certain Amiibo exclusive to specific stores has created chaos in the past, crashing GameStop’s website and in-store systems due to the high volume of customers. Other retailers have had to place strict restrictions on the pre-orders for Amiibo, to stretch the stock to as many fans as possible. If you are planning on buying the next wave of Amiibo, you should make sure to follow Nintendo’s official Twitter, as they sell out within minutes of being on sale. Stay tuned for details!